Within the span of two days, the possibility that Ford might testify had gone from something she had offered to do—willingly, despite the full knowledge that she would face a hostile audience—to a threat being wielded against her. It was a quick transformation but an inevitable one: she was always supposed to lose. The events surrounding Ford’s allegations and the Senate response have been framed as a lesson in contrasts to Anita Hill’s 1991 Judiciary Committee hearing. Whereas Hill faced a front-facing smear campaign in response to her testimony about now Supreme Court Justice Clarence Thomas’s alleged serial harassment, the demands of a post-#MeToo political moment require a softer touch. 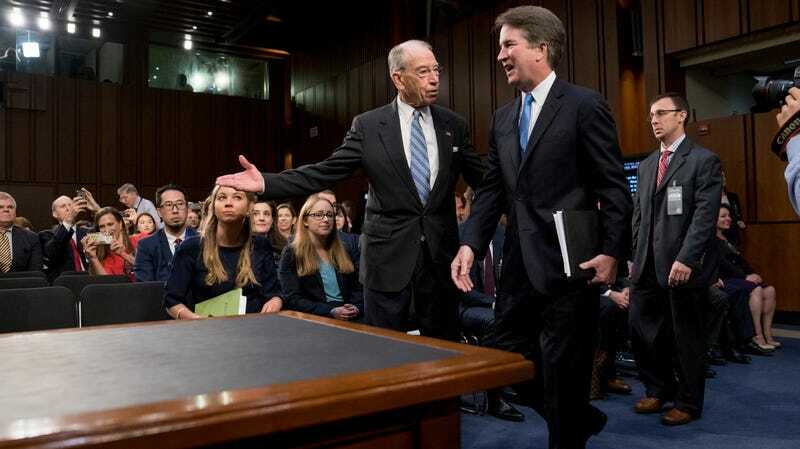 Ford must be heard, as Grassley stated. (The White House, through Kellyanne Conway, agreed, adding that she should also be respected.) But after checking off those two boxes, things can, and must, proceed as planned. Ford is now left with a constrained set of choices, all of them bad. She can go ahead with the hearing as scheduled and face a Republican-majority committee that has spent much of the last week seeding a message to undermine her credibility and preparing itself to dismiss her claims. (Lindsey Graham, who compared the allegations to a “drive-by shooting,” more or less revealed the perfunctory nature of the hearing—an extra step toward an inevitable confirmation—when he said: “I’ll listen to the lady, but we’re going to bring this to a close.”) Or she can decline to testify, making her an even more unreliable narrator and leaving Republicans with plausible deniability about their bad faith and the appearance of a neutral system.